DESPITE “struggling with this terrible carpark situation for years” there’s light at the end of the tunnel for the community of St Mark’s Balnarring – particularly if Liberal candidate for Nepean, Russell Joseph, has his way. He’s promised $60,000 to seal the gravel carpark if the Liberals Nationals win the state election in November. “After attending the opening of the community centre last year, it was brought to my attention that the carpark was a necessary piece of infrastructure to ensure the church can make the best connection possible to those in the community who have come to rely on the services they provide,” Mr Joseph said. 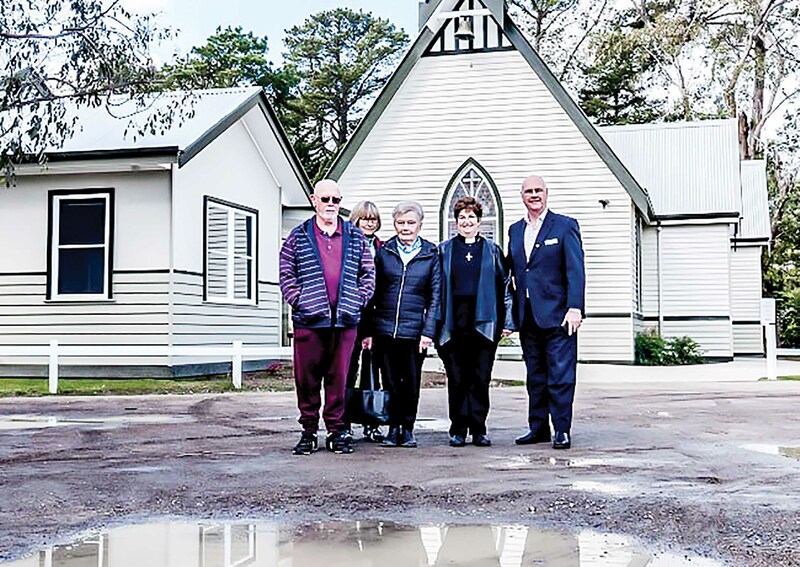 Anglican Parish of Flinders with Balnarring vicar, Reverend Jennifer Furphy, said that as Balnarring had developed, the traffic and the parking demands –particularly large vehicles, such as semitrailers, horse-floats and boat trailers – had dramatically increased. She said the state of this carpark, on crown land, had made it increasingly difficult for parishioners and members of the community to access the services being provided by the church.